That’s what people do when they put their financial problems in the past and get on with their lives… no more debt… no more worry. You’ve tried everything. Maybe it’s time to put all your financial problems behind you, and become one of the thousands who have moved forward. 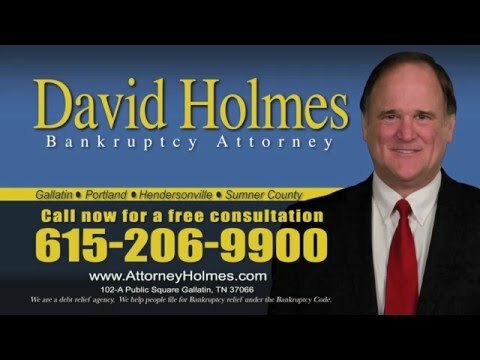 I’m Gallatin attorney David Holmes. I can help you move forward and get a fresh start. If you’re sinking deeper in debt, call me right now… 206-9900.